Wed., 26 Jun. - Thu., 29 Aug.
Wed., 29 May - Fri., 21 Jun. Wed., 28 Aug. - Mon., 30 Sep. Tue., 17 Dec. - Wed., 1 Jan. 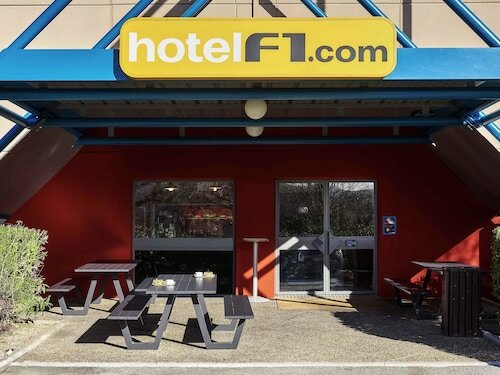 Situated in Blagnac, this hotel is within 1 mi (2 km) of Odyssud and Airbus. Sainte Catherine de Sienne Monastery and Ailes Anciennes Toulouse are also within 3 mi (5 km). Situated near the airport, this spa hotel is 0.6 mi (0.9 km) from Airbus and within 3 mi (5 km) of Ernest-Wallon Stadium and Aeroscopia Museum. Zenith de Toulouse and Toulouse Hippodrome are also within 6 mi (10 km). 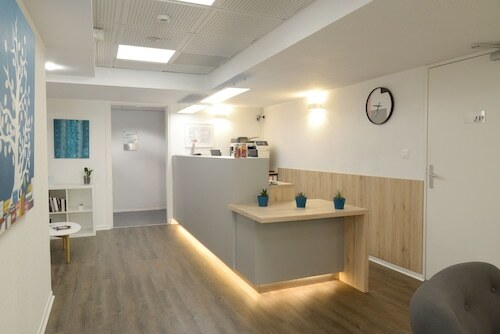 Situated in Blagnac, this hotel is within 1 mi (2 km) of Odyssud and Airbus. Sainte Catherine de Sienne Monastery and Roman Amphitheater at Purpan are also within 2 mi (3 km). Situated near the airport, this hotel is within 1 mi (2 km) of Odyssud and Airbus. Sainte Catherine de Sienne Monastery and Roman Amphitheater at Purpan are also within 2 mi (3 km). Situated near the airport, this hotel is within 1 mi (2 km) of Odyssud and Airbus. Sainte Catherine de Sienne Monastery and Ailes Anciennes Toulouse are also within 3 mi (5 km). 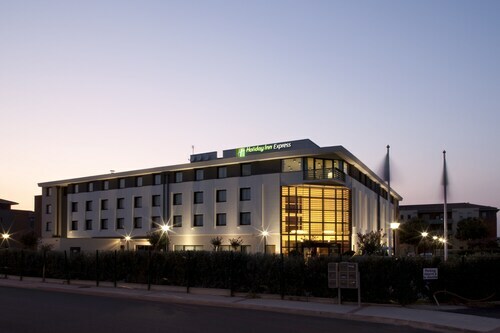 Located in Toulouse North, this hotel is 0.5 mi (0.8 km) from Sports and Recreation Park Toulouse and 2.9 mi (4.6 km) from Airbus. Sainte Catherine de Sienne Monastery and Ernest-Wallon Stadium are also within 3 mi (5 km). Toulouse Lalande-Eglise Station is 14 minutes by foot. Question : How much is a plane ticket to Toulouse (TLS) from Vancouver (YVR)? Answer : They can vary anywhere from $1,195 to $5,997. Booking far in advance can typically help you get the cheapest rate. Remember, the sooner you book, the more you'll be able to save. Answer : You sure can and you may save yourself some money by doing it. The cheapest day to fly in May is Friday. Having flexibility in your travel plans means you can save more, so be sure to plan ahead when possible. Question : What is the cheapest airline flying from Vancouver to Toulouse? Answer : United Airlines is offering the best deal at $1,195. Better look quickly because prices range all the way up to $5,997 over the next three months. Answer : The cheapest day to fly from Vancouver to Toulouse is on Friday. If you want to save a bit of money on your next holiday look for flights on that day. Question : How much time do people spend in Toulouse? Answer : The average time spent sightseeing in Toulouse by passengers from Vancouver is about one week. Answer : If you are wanting to save heaps, look at May 17th. As of Apr 22nd, it's showing the cheapest ticket at $3,804. That is 7% below the average price for this route, so you can spend that extra dollars on some souvenirs.